I had a dream that I was walking on the water with someone. It was sunset and the water glistened with hues of oranges and pinks. The waters were calm and the ambiance was peaceful. The someone I was walking with seemed to be a guide. We walked side by side, talking gently to one another. I can’t recall the topic of discussion but it seemed as if we were walking for a short time, maybe 5 minutes and then the guide told me, “This is where I leave you.” It seemed a bit abrupt but as I saw the guide walk away I did not ask why. I simply sat down on a wooden, high stump that was beside me and looked out into the sunset. I woke up that morning with the realization that something has ended in my life, a phase has to an end. I was not at all upset with this ending, a natural order of things. The dream ended with me sitting on a stump watching the sunset, a time for reflection and contemplation. Although, in the physical I am working towards attaining new positions by attending events, email corresponding and interviews, there needs to be a time to assess what is being done within me … what He is doing within me. 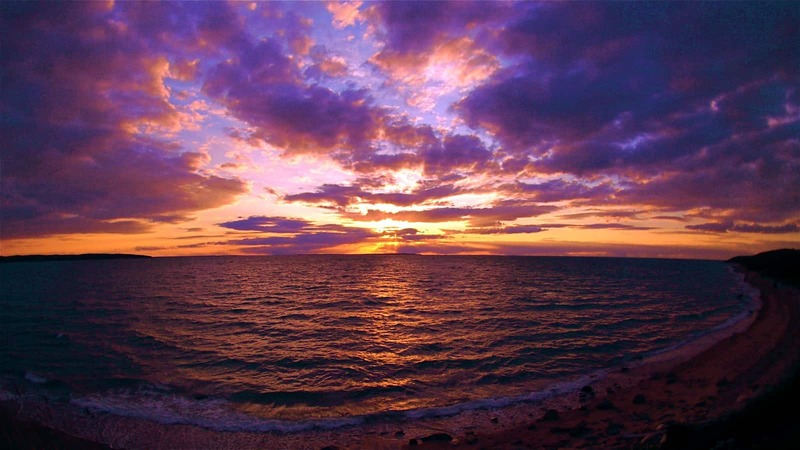 Take notice of His work… the serene, ever-flowing ocean and the lavender, violet sky. A true artisan’s work. It’s hard not to get enticed with the hustle when there is a “need” in some areas in my life. When I have a “need” I can be quite creative to find a way to take care of it. I take on more responsibilities and find myself saying yes to anything and everything that has money attached to it. That was my M.O. for most of my life, yet it only brought me worry. When I do feel that nudge to do it my way I recall that old feeling of uneasiness and let it go. I let go of the need to control. The dream helped to me remember and to reflect on His goodness…how His way saved me. His way gave me clarity and direction. His way led to wisdom…and most importantly His way lead to peace.